A good call by LFC. They can’t live on the past forever or the Carling Cup. The finances certainly won’t take it. I wrote about LFC a few weeks back on this blog and nothing has changed. Time to move on and that sage advice could be for the fans, the club, the Hillsborough groups and the city. The endless whining and feeling of pity is just becomign ludicrous. The same could be said for Joey Barton too, a another scouser who really needs to be left alone by the media and not be feted as someone more than he is. Kenny Dalglish claims Stewart Downing is a better player than he thought. I’m not going to pretend. I can’t stand Downing or better said, I have no idea how he is considered a quality player. He can’t beat any fullback, his passing is limited to square balls and he barely crosses it let alone scores. But that’s my opinion. 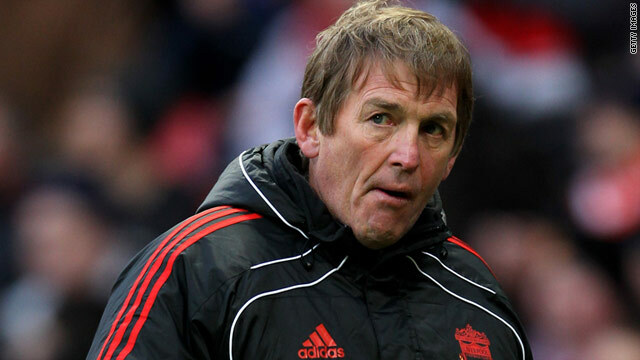 However now Dalglish has come in to defend his player it simply confirms something I’ve been thinking over. That be that Kenny has lost it if he was any good in the first place as a manager. I give three pieces of evidence. Firstly in his first spell as LFC manager, he managed a team into decline despite spending a lot of money. However all empires fall so I won’t be too harsh there. Secondly this present team again has had a lot of money thrown at it but he’s bought terribly. Henderson, Downing, Carroll and Adam, between them valued (rather than worth) £78m are all not good enough for the level LFC wish to play at. And they never will be good enough. Further the players he’s failed to replace include his centre backs, Agger and Skrtel who are not good enough. My third point concerns tactics. LFC played Stoke last week, a team with a large physical presence upfront. So Kenny shifted his tactics to 3-5-2 employing three centre halves and wing-backs. Sounds logical and progressive except this isn’t 1994 or 1986. Three at the back constantly fail and this formation has only worked once in 1986 when Argentina had a certain Maradona in the team. But more simply Kenny’s thinking was; ok Stoke have a big man so we will draft in a big man in Coates to mark him neglecting the fact that with 3 across the back and wingbacks in advanced positions, the crosses are going to be coming in all day. Whether Coates is good enough is doubtful but Kenny’s tactics were unique in the league and uniquely wrong. As a result, the crosses rained in all day and he ended up essentially playing 5 at the back. However moving to the league in general, it’s still a two-horse race between the Manchester Clubs. Chelsea are too inconsistent and lack confidence. Cahill won’t add much. Spurs play the best football in the league but still lack a certain firepower and I’m not sold on them when Gallas and King aren’t fit. Arsenal are improving but lightweight and less gorgeous than they used to be. 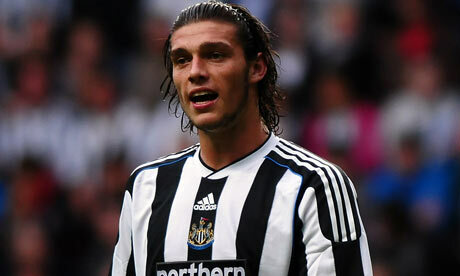 Newcastle are a good side, slightly short of the top 5 but well-organised and playing with confidence. At the bottom, O’Neill has saved Sunderland while Norwich, Everton, Fulham, Stoke and Villa will be fine. I still have some concerns over Swansea but QPR should now be fine. Wigan look done. Blackburn will struggle but go down. Wolves have enough team spirit which condemns Bolton. It’s between them and close. I wish I knew the media campaign to drum up a crisis at Liverpool was just to sell papers. But it isn’t and sadly the broadsheet and more respected media just follows on. Talking heads are trying to out-do each other like political shock-jocks, all in the hunt for Jerry Springer-type adoration. Certain newspaper’s agendas also reflect the divided lines of football loyalty. Rafa Benitez is considered finished by some media and like the big sell of talentless pop stars by media manipulators, ignorant and weak-willed fans start believing it. His entire past achievements are now forgotten, the limits he works under are ignored and every minute decision is slated if it is debateable and questioned if it succeeds. He can’t win even when Liverpool wins. Its merely survival. Liverpool have to finish in the Top 4. With Manchester City and Aston Villa struggling at times, that is easily achievable. I dislike a lot about Liverpool but the vitriolicism of the tabloids and snide carping of the broadsheets media pisses me off. I have seen it too often with Newcastle United. Below are some comments about Fergie when his position was openly muted by the media and supporters back in 2001, after two Championships in a row and 6 in total. Their comments below now look ludicrous, a product of shallow people with short attention spans. 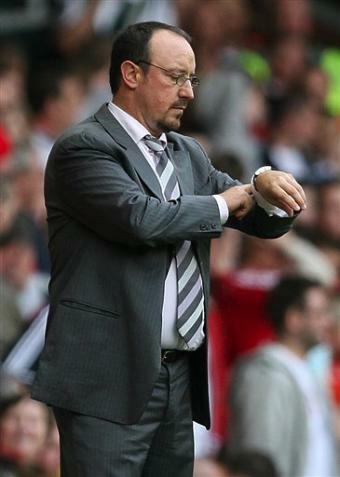 I think it is time for Fergie to go. I am not sure that it is possible to replace him at this time but the team are playing so badly, we might not notice the difference. He never appointed a coach to replace McClaren and now we are seeing the results. Fergie has donned his tracksuit again and he just can’t coach anymore (Not like Kidd and McClaren). He has tinkered with the system and upset the rythm of the team. Although Veron is an unbelievable player, he is not the man we needed. We needed a top class defender to play along with STAM, and a top class striker to play with Cole, Solskjaer and Van Nistelrooy. Every coach in any sport reaches the point after coaching the same athletes, even when successful, when the words actions and tactics become stale. This has happened. There is nothing more Fergie can say. It’s over. Ferguson has been a disaster. United already had a world-class midfield and attack and he didn’t need any reinforcements over the summer. He has wasted the club’s money. Get a manager in who will sort out that defence. It does look like Mr Cragnotti has a point. Much was made of the Lazio situation when Eriksson was appointed to the England job and they went from being one of the most feared teams in Europe to a shambles. There are similarities with the plight Utd currently find themselves in. If Ferguson doesn’t stand aside the Board should certainly move very quickly to make his successor known. At least then the Utd players would have a focus to impress for the rest of the season. I hope that they don’t wait to see how England do in the World Cup before making their final decision on who they are going to move for. Absolutely, and Joe Royle would be a perfect replacement.